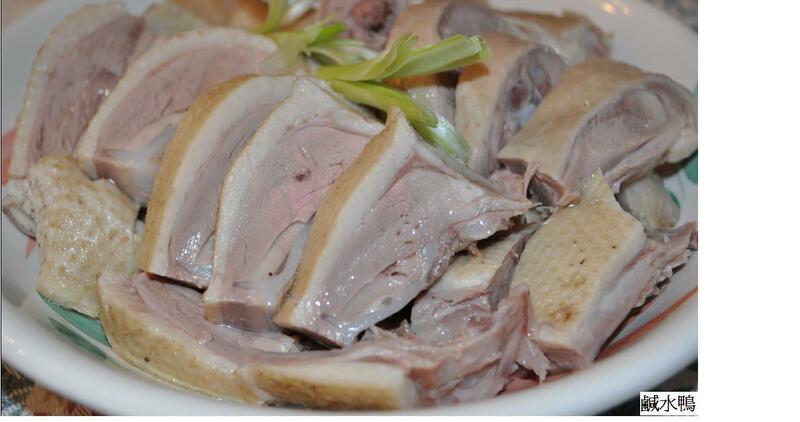 Salted duck differs from roasted duck; it has a lighter taste and is less greasy. The slight flavor of salt brings out the flavor of the duck in this recipe, which will please duck meat lovers as well as fans of easy, healthy cuisine. Clean the duck meat and wipe it dry. Stir-fry the ingredients listed in Part A (ground pepper corn and salt) over low heat until the peppercorn and salt turn light brown. Evenly spread the pepper-salt mixture outside of the duck as well as inside the duck. Place duck meat into a large freezer bag or in a pot and store in the refrigerator for at least one day. Rotate occasionally to ensure that the duck marinates evenly. Place all the ingredients listed in Part B into a large pot. Then place the marinated duck meat into the pot and cook until the liquid comes to a boil. Turn the heat to low and then simmer covered for 40 minutes, rotating the duck after the first 20 minutes have passed. After the duck meat has cooked, let it soak in marinade for another hour more or for longer. Remove duck meat from marinade and store in the refrigerator. When the meat cools down, it is ready to slice and serve. It is easier to slice duck meat when it is cold. When preparing salted duck, do not select a duck that is too large since the larger ducks yield fattier meat. After preparing this recipe, you can strain the marinade and save it in freezer for the next time you make another batch of salted duck.